Come celebrate Mardi Gras with us in the snow-capped mountains of Red River. The unique blend of Mardi Gras and Red River traditions draws crowds from all over the country. Come experience something new with the burning of the Tchoupitoulas, a spirit that removes your troubles and worries for the coming year. The Grand Ball is an event for everyone to dress up and celebrate a good time in the mountains. The Mardi Gras Main Street Parade showcases local businesses and their holiday spirit. Red River's Mardi Gras krewes, local businesses, and various families and individuals participate with wild floats and elaborate costumes, as spectators line both sides of Main Street cheering for beads and candy. This is when much of the creativity surrounding the annual theme come out. Romance on the Rio is our annual theme this year so be sure to dress romantic! The Tchoupitoulas is a fictional character that serves as a mascot for Mardi Gras in the Mountains. Similar to Zozobra (Old Man Gloom) in Santa Fe, each Mardi Gras kicks off with a foot parade down Main Street (Krewe Krawl) leading the Tchoupitoulas to his final moments. Spectators are encouraged to write down their troubles and worries and toss them into the fire as the Tchoupitoulas is burning. Once that is done, Mardi Gras in the Mountains can officially begin! 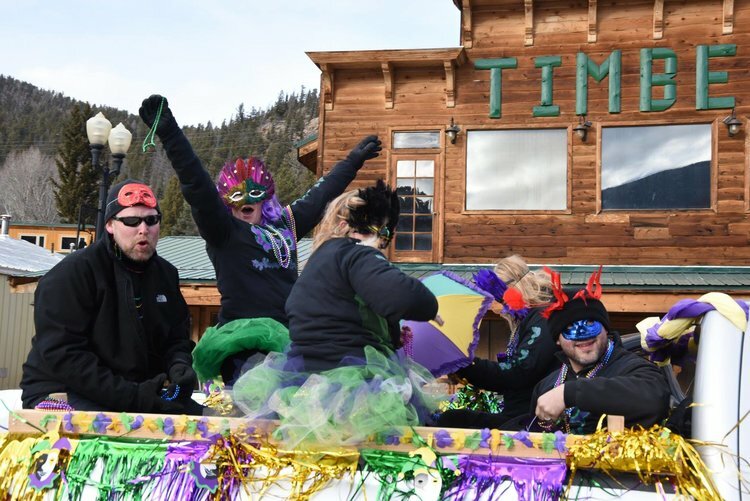 In what has become one of the most competitive events during Mardi Gras in the Mountains, various krewes show off their abilities to make a great drink and put on an even better show. Judges for the drink contest are often chosen at random before the contest begins, so get there early to find a seat and be entered in the drawing. Each krewe is judged on their presentation, actual drink, and overall performance. Red River is known for a family friendly atmosphere year-round, so it's only fitting that we have a ball especially for kids. 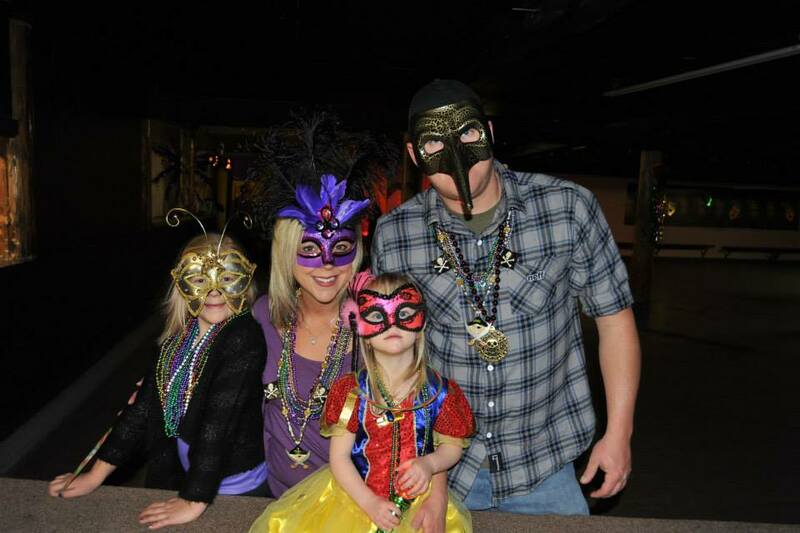 Kids are also encouraged to wear their costumes and beads! This Red River tradition continues to be a popular event for adults and children alike! Though there is a costume ball each night during Mardi Gras, the Grand Ball is the most magnificent of them all. Everyone is invited to the Red River Conference Center for live cajun music, dancing, and the official Mardi Gras costume contest. Dress up for your chance to win a trophy from the Chamber of Commerce.